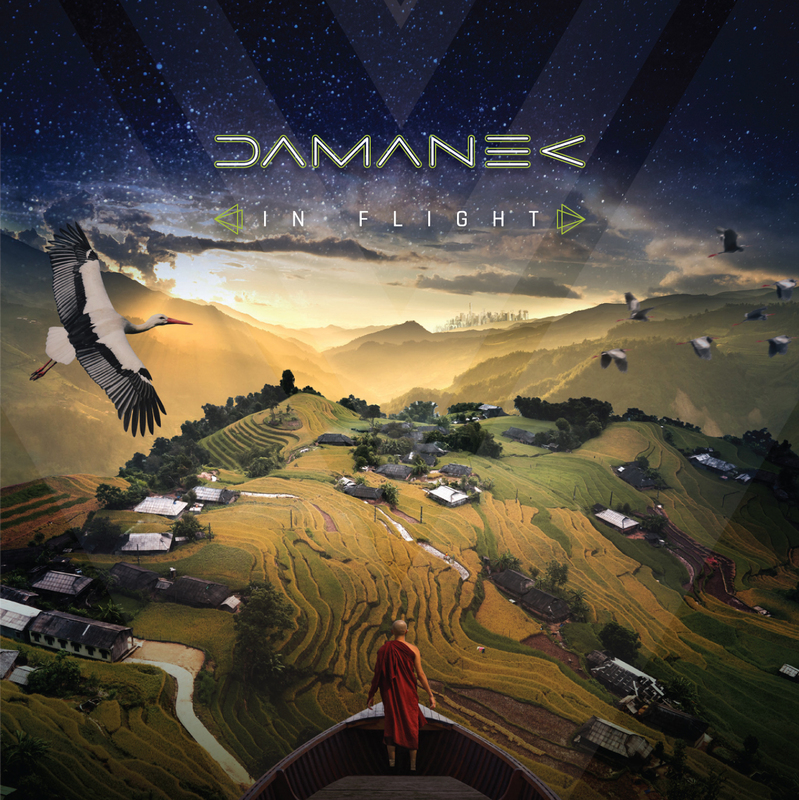 Described as “genre defying”, Damanek have wasted no time since their debut album “On Track” in getting back into the studio and crafting another full and interesting musical journey. 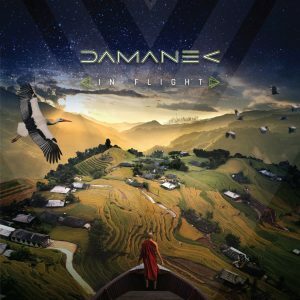 The core staff at Damanek is Dan Mash on bass (Mashine,) Guy Manning on vocals, acoustic guitars, keyboards and percussion (The Tangent/Manning) and Marek Arnold on Saxes and seaboard. These three gentleman go to make up the name Damanek for those of us who hadn’t guessed or in the know. Of course there is a wider body of high quality tools in the box here and a powerful production force in Southern Empire’s Sean Timms – an antipodean musician for whom I have a great deal of respect. His keyboard playing and programming throughout the album is inspirational. To also ramp up the fluidity, and at times power of the compositions are some excellent guest musicians in the form of Brody Thomas Green on drums (Southern Empire) Luke Machin on guitar (The Tangent, Mashine) Antonio Vittozzi on guitar and a host of others too numerous to mention. Liberating the disc from it’s shrink wrap you are greeted with and beautifully presented booklet, the front of which is adorned by some rather splendid art work thanks to Tony Lythgoe. All credits and song lyrics are here within, concise and easy to read. I was eager to hear In Flight as the band’s debut which really did have me wanting more. Without further ado, into the CDP it went and from the off I knew I was going to enjoy it. The first thing that hits you before Guy Manning sings a note is Sean Timms spacial production. Ragusa sets away at a jaunty pace with lots of percussion and Dan Mash’s nimble bass licks. The song weaves in and out of styles and temperament to Guy Manning’s very distinctive vocal style which always reminds me of Ian Anderson. I hope this does not cause any offence to Guy! Luke Machin rocks up some rather wicked guitar breaks throughout. I could even here shades of early Ultravox creeping in a couple of minutes into the track. The song sets up an ethnic feel for the rest of the album. A fitting Homage to the Croatian city now known as Dubrovnik and all its magnificence. Opening with a latin piano and Marimba vibe Skyboat shouldn’t be confused with the late Roger Whitaker song of a similar name (The Sky Boat Song) as lyrically it’s a lot more complicated than that but to ease the words along there’s a little funk going on too as Marek Arnold adds his sax and seaboard livening things up. Some great Moog and organ from Sean Timms too. In slight contrast The Crawler explores the darker side of our psyche as we become obsessed with things that go bump in the night. The dark and sinister opening of this song betrays just how up beat the song actually turns out. Antonio Vittozzi’s different guitar style steered the band into a more west coast sound which ticked a lot of boxes with me. Piano and guitar were on fire. Moon-Catcher is a continuation from the debut album On Track and meant to be a sibling piece to The Cosmic Score. the song represents musings of Guy Manning as he looked up at the nights sky. Ably assisted by a group of backing singers which includes Guy Manning’s missus Julie King.It’s a lilting affair and well placed in the running order to brake up the more complex pieces. Speaking of which we come to The Crossing – easily my favourite piece of the whole album. Awesome piano playing by Sean Timms creating a collage of styles. Great touch too with Raf Azaria playing some well timed violin. This leads us to Big Eastern parts 1-III. The three parts being… Cruel Skies, The Shaking Earth and A Life In Chinatown. As with On Track, In Flight finishes with a multi part long form series of minuets (though not so minute) which I have to admit lost my attention from time to time. Despite this small observation there are some great moments to be had and I often felt like there was a large scale production going on like The Lion King et al. Though lets not skirt the issue here; it is plain to see that Guy Manning has covered many issues within his words which because they were cut down in time to suit production may well have lost their impetus. Starting with the subject of horrendous weather conditions effecting the farmers in China leading to a migration and resettlement in San Francisco. A journey which comes at a price. Comparisons are made here of a family living in modern New York so as you can well imagine there are some powerful lines throughout. There are some interesting musical meanderings here and at one point it actually started to get a little gospel. The final part of this huge opera is Life In Chinatown where things get a little Frank Zappa at times. Something I thoroughly enjoyed. Sean Timms Mellotron sounds and dreamy synth swathes added just the right amount of atmosphere here and the Kodo drum finish a great touch. In flight with the exception of its terminating opus isn’t an album that you have to listen to and digest four or five times before the ear worms kick in. From the first few bars it’s a goer. Fresh, uplifting and polished. Quality musicians doing what they do best and on more than one occasion made me smile. 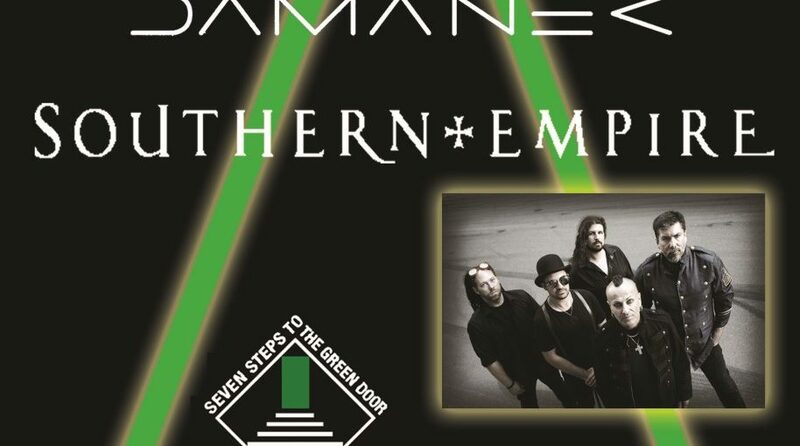 Damanek intend to team up with their Southern Empire brethren in the autumn for some live gigs. They seem to be a must to go and see. Released on October 5th 2018 In Flight is available to pre-order now from the GEP store. 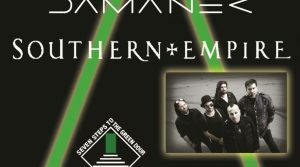 Catch damanek + Southern Empire live…. Tue 27/11/18 – The Victoria, Swindon, U.K. Wed 28/11/18 – The Joiners, Southampton, U.K.
Thu 29/11/18 – The Robin 2, Bilston, U.K.
Fri 30/11/18 – Boston Music Room, Tufnell Park, London, U.K. 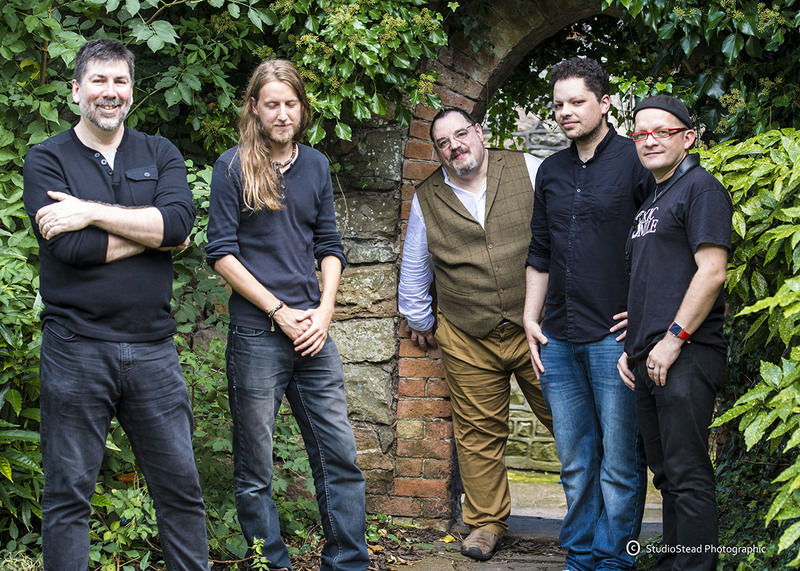 Sat 01/12/18 – Classic Rock Society (CRS), Maltby, U.K.